Our Surgical Center offers one-day surgery and is fully staffed with highly experienced surgical registered nurses. BCH is pleased to welcome Gavin Davison, MD to its medical staff as of October 2016. 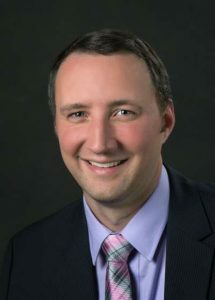 As a board-certified surgeon, Dr. Davison has established his surgical practice in Springville as he assumes the position of chair of the Bertrand Chaffee Hospital Department of Surgery. Recruiting Dr. Davison to Bertrand Chaffee Hospital is part of our commitment to making sure patients in our rural area have access to essential medical care, including surgical procedures. As a general surgeon, Dr. Davison specializes in minimally invasive laparoscopic procedures, which can help speed the recovery time for the surgical patient and reduce scarring. Below is a list of procedures, many of which Dr. Davison can perform laparoscopically. He will be seeing patients in his second floor office at Bertrand Chaffee Hospital. For more information, talk to your primary care provider or call (716) 794-3295. All major insurance plans accepted. Ambulatory surgery is surgery or a procedure done that does not require an overnight stay. Bertrand Chaffee Hospital’s Surgical Center includes two operating rooms and three procedure rooms. 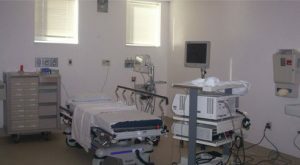 We also have a post-op recovery room waiting area and consultation area. Our staff is caring, helpful and considerate of the patient and family needs throughout their perioperative stay. Your care is delivered with compassion and dignity by our highly professional team. Surgery – surgeon, anesthesia care provider, circulating RNs and scrubs, and certified sterilization technicians. We offer you 150 years of nursing experience and expertise. Operating Room has two suites to accommodate inpatient and outpatient surgical procedures. Post Anesthesia Care Unit (PACU) has 4 observation bays and one recliner area. We have specially trained nurses to care for patients after receiving anesthesia. Endoscopy – two rooms to accommodate cystoscopies, colonoscopies and esophagogastroduodenoscopies (EGDs). Our endoscopy suites offer state-of-the-art colonoscopy and EGDs with high definition imaging. Ambulatory unit has five recovery bays and three recliners for infusions. Bertrand Chaffee Hospital is located in beautiful village of Springville, just 30 miles south of Buffalo. It is easy to get to just down the 219 with no parking fees. Our medical staff is highly educated and continues to increase their training daily on the latest surgical techniques and procedures. Our staff is trained in advanced cardiac life support, certified in operating room nursing and registered first assistant to be prepared for your needs.